I am interested in the study of meteorites to better understand the formation and evolution of our Solar System. My research approach is to use multiple techniques to characterise extra-terrestrial materials either in terms of composition or in terms of chronology. One of my main specialities is the analysis of meteorites using noble gases (He-Xe) and halogens (Cl, Br, I), and chronology studies (e.g. Ar-Ar, CRE). More recently, I have been working on overall compositional studies of meteorites at micro- and nanometer- scales. The surfaces of asteroids and rocky planets/moons represent excellent records of impact events within the Solar System. Most of our understanding of the impact flux in the inner Solar System is based off of analyses of lunar materials, and the development of the 'Lunar Model', which depicts either a major event or a change in bombardment rate at ~3.9 billion years (Ga). My approach is to investigate the prevalence of this event by performing chronological studies of materials from the asteroid belt using multiple decay systems - Ar-Ar and U-Pb. I am interested in understanding the structures and compositions of undifferentiated meteorites (chondrites) at micro- and nanometer-scales, to help determine when the first solids in the Solar System formed, and to determine what processes led to their formation. I am approaching this by performing a combined study using different analytical techniques including SEM (and FIB-SEM), EPMA, TEM, NanoSIMS and APT to understand the textural and compositional properties of these early phases and materials. 1. Analysis of achondrites using petrography and FTIR techniques. 2. Investigation of Wetumpka Impact Crater lithologies. Section of lunar feldspathic breccia NWA 11182. Scale bar is 4 cm across the image. Horizon highlighted in nanometer-scale tip created for APT analysis of chondrite Allende. Tip height is ~160 nm. 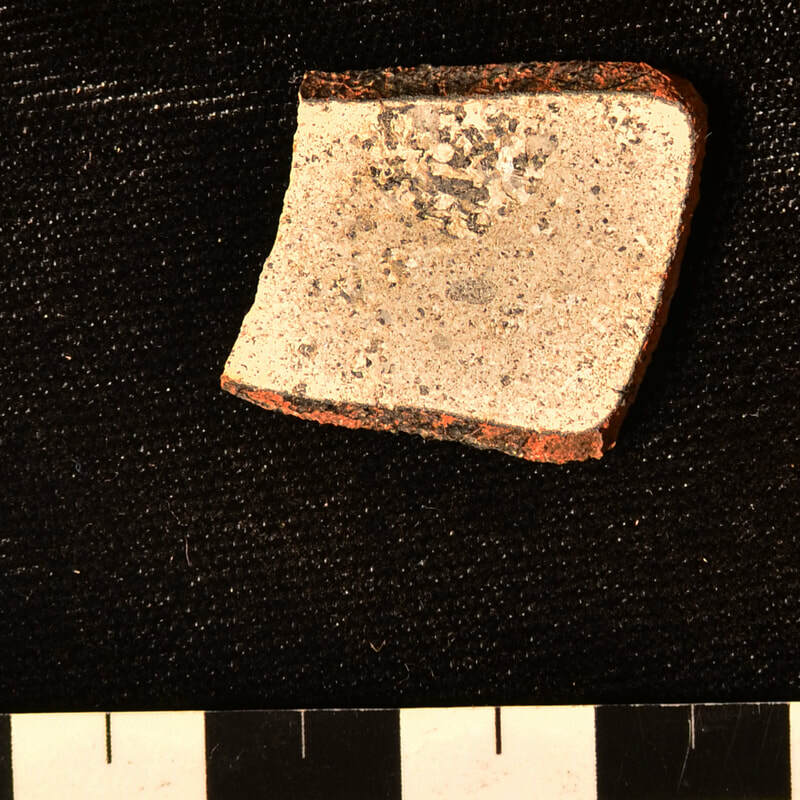 Slice of the Millbillillie eucrite (monomict). Scale bar is 4 cm across.